"They do go further back than … when it became law to record vital statistics, so these can fill in lots of blanks for people," said Kerr. She said she had wanted to do further digitization of records at the archives — many of the vital statistic records are already in a digital format — after a monumental request from a man researching his family tree. "[He] said that he had a great-great-uncle, who he thought probably lived in New Brunswick, but he wasn't sure, was probably an Anglican and likely lived near the water," Kerr said. "He was probably born in the early 1880s. His last name was Hansen but he was not sure of his first name. It was either John or William. "That didn't give me really anything at all to go on … it's not a matter of just typing names into a database … that one request really sort of put my plan in motion." Luckily, the archives recently received some new digitization equipment and after discussing the project with the diocese staff were ready to go. Archivists have been sending the scanned pages of the registers to a group of genealogists, who are going over the scans and transcribing the data so it can be searchable. 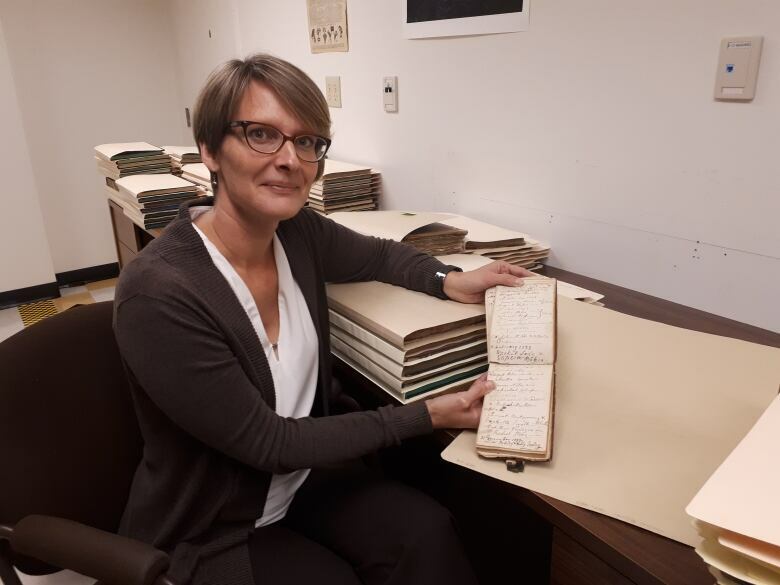 Before the project, a genealogist who wanted to view the documents would have to physically go to the archives, housed at the University of New Brunswick, and look through the registers. After the project, all the information in the registers will be put on the archives' website. People would also have the ability to search through the data, such as searching for a last name, making the process a lot faster than flipping through potentially hundreds of pages. Many people use these records for researching family histories, Kerr said, but the data they contain have more modern-day uses as well. "If somebody is getting married today in the Anglican or in the Catholic church often the proof of baptism is required," Kerr said. 'My mother lost my baptism record.' With these records, we are able to produce a copy." The records can also be used to clarify vital statistics and have even been used in helping secure passports. "They're also used on a fairly regular basis if someone is looking to apply for a passport, for example, and they discover that their official record from vital statistics, perhaps their name is not spelled the way that they have always spelled their names," said Kerr. "For example, their name is Ann, they don't spell it with an E, but their vital statistics record has an E. So we can go back, and if they were baptized in the Anglican Church we can check to see how it was spelt then and that sometimes can help clear up a bit of confusion." While the digitized records will no doubt make it easier to research familial history, Kerr said this does not mean the end of physical records and the archives aren't giving up their physical copies. "These records are historically significant and irreplaceable," said Kerr. "We are digitizing them to make them more readily accessible and to reduce the amount of physical handling they will have in future, not to 'save space.'" Other than the historic value of the physical records, Kerr said, digitization of records is complicated and requires a lot of continuing work to remain usable. "Contrary to popular belief, digitization is not a one-time deal," said Kerr. "Once material is digitized you're looking at a lifetime of maintenance issues that are far more complicated than simply putting the physical records into a cold storage vault. You're looking at ongoing expenses for digital storage, ensuring the formats stay accessible, ensuring that software that can read the digital material is available and sustainable, and so on." Kerr hopes that some of the digitized records will start to be made available in the new year.